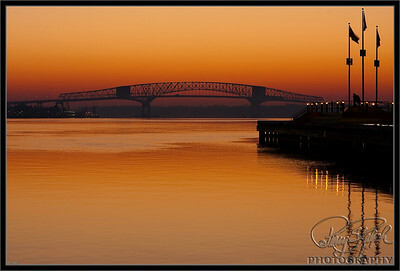 Hart Bridge at Sunrise. 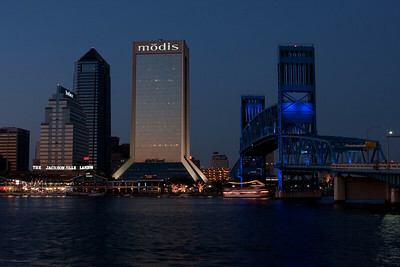 Jacksonville, FL early morning wake up call saw this bright orange sky over the St. John River. 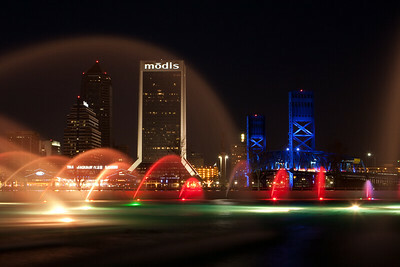 I went out and show the Hart Bridge. It was strange to me since i thought the river ran north/south and i was up river from the bridge. Overall it was a beautiful sunrise. n Jacksville, FL on the St. John River, the Main Street Bridge was raised to let a boat go underneath. This drawbridge brings up the entire section of bridge. 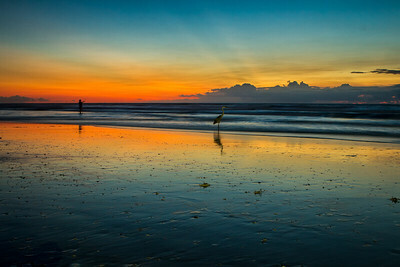 The Heron and fisherman in the Atlantic Ocean at sunrise at Cocoa Beach. 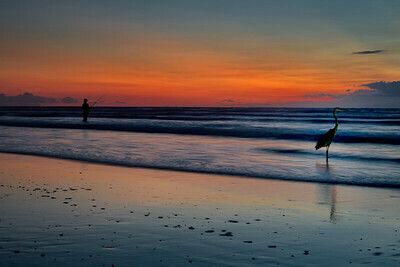 Sunrise at Cocoa Beach Florida. There were fishermen and Heron looking for a little bit of breakfast. 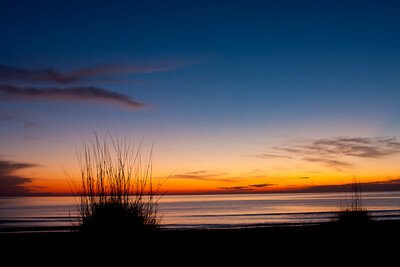 The Big Talbot Island State Park beach is where this sunrise was captured. The wild grass and beach gave a little perspective with the large ocean and sky.